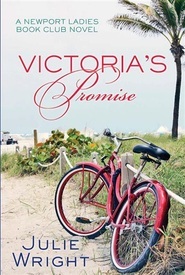 At age sixty-two, life is finally beginning for newly widowed Ruby Crenshaw. Her son is grown and gone, and after long years spent in the role of loyal wife to her charming but unfaithful husband, she’s ready to live the life she’s always dreamed of. Her resolve is firm: she’ll never make the mistake of giving her heart to another man. The first step in Ruby’s quest for a carefree lifestyle was to create the Newport Ladies Book Club, an unlikely gathering of women who have been her haven. Now she’s ready to take her newfound independence a step further. Along with her friends from the local senior center, Ruby is jetting off on a much-needed Greece adventure. What she isn’t prepared for is Gabriel — the group’s tour guide — a native Greek and a true gentleman. His unquestionable charm is hard to resist. But resist she must — because no matter their growing attraction, Ruby is not about to fall for charming again! HEATHER B. MOORE is the two-time Best of State and two-time Whitney Award winner for her historical fiction, the most recent being Esther the Queen. She is also the author of the nonfiction inspirational book Women of the Book of Mormon and the coauthor of Christ's Gifts to Women with Angela Eschler. Heather is a columnist for Meridian Magazine on LDS topics. As the Newport Ladies Book Club continues with Ruby's Secret it unfolds a truly honest story with unexpected emotional ups and downs and affairs of the heart. In this book you learn that Ruby has to learn forgiveness of herself.. Ruby has to learn how to be herself as a widow. A trial harder than she thought possible having had an unfaithful husband and hiding that fact for years She learns how awakening it is to let go of all the grief that her facade of marriage had in-store for her. After presenting a trip to Greece that she had taking several years prior to the local Senior Citizen Center; a decision is made to have them visit Greece as well. During the trip to Greece a different Ruby was awakened. 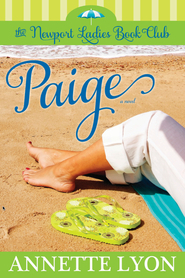 Heather Moore has done it again to put real life in perspective of a novel. It is alright to grief different losses- it is alright to make life changes and even more importantly it is even more important not to close your heart to the possibilities of life. 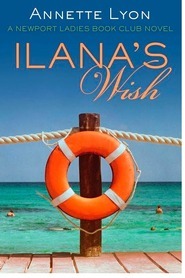 READ THIS BOOK You won't want to put it down but you might want to just to savor the moment!!! 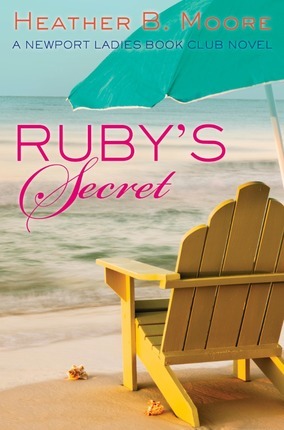 I really enjoyed "Ruby's Secrets," as I have enjoyed all of Heather's books. Ruby has always been the backbone of the book club, pulling the ladies together in a strong bond of friendship. It was very interesting to see the club from her perspective and to learn of the trials in her life. I love this story because it is about learning to forgive others and to forgive yourself. It illustrates how we cannot be whole if we don't get over past hurts. I found a couple of very minor editing errors. I was surprised to see them because I have never noticed them in Heather's books before. I always look forward to my next book to read by Heather Moore. 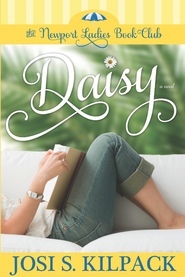 While this book is part of a series that includes authors Josi Kilpack, Julie Wright and Annette Lyon, it definitely is a stand alone story that may whet your appetite to seek out the other novels that have characters attending Ruby’s book club. You can always recognize a good story because you have a moment of sadness when it is over. In Ruby’s Secret you become part of Ruby’s inner circle, you learn of her secret addiction to regency romance books, how she takes guilty pleasure in watering her hibiscus and you learn Ruby’s secret. The book club consists of Paige, Daisy, Athena, Ilana, Olivia, Victoria and Shannon. They are bonded together over a love of books, caring for each other and book club desserts. 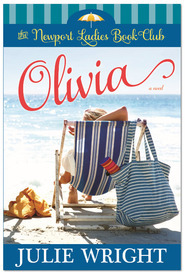 At the insistence of Ruby’s daughter-in-law Kara, Ruby accepts the challenge to meet new people and finds herself drawn into the lives of the seniors at Oasis Senior Citizen Center. Before long she is burying old memories in Greece. So follow Ruby on her adventure as she finds hope (and romance) as she learns to let go of the past. True healing for Ruby begins when she can forgive herself. And another great thing about this series, there are little teasers about the books they are enjoying in book club. That might spark you interest to find another good read as well. Do we ever really know what is happening behind closed doors? Can we even believe the face that people are showing us? In the first set of Newport Book Club books we had no idea what Ruby's life truly was like. We were led to think that Ruby was a lonely grandmother who just wanted a little company. Who would have thought that hiding behind that sweet temperament and loving spirit was a heart that had been truly devastated. This next group of books is something truly great. I have loved this series, but I think that with this second set of books they have worked out all the kinks. Not only that but Heather Moore has brought something special to this story. I am really glad that she is the one who wrote about Ruby. I am sad that these books will be the last in this series, so I hope that they will move on to something new soon! Keep it up ladies. These are fantastic!! I was looking forward to reading Ruby's story. It seemed like her life was almost too perfect, but she has a painful background that she hasn't shared with anyone. I liked the fact that Ruby is in her early sixties, but can still let go of the past, learn some lessons and find new love. After reading this book, I have an even stronger desire to visit Greece. The references to the books the club members are reading and using them as part of the story is interesting. 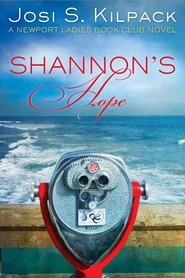 the tidbits in the book about Shannon, Ilana, Victoria, made me eager to read their stories as well. Ruby's Secret is a great addition to the Newport Ladies Book Club. Ruby's story is really enjoyable. Ruby starts the Book Club and I love how she uses the books (like all the characters) to lend her perspective. The nonfiction selections selected for the book group have piqued my curiosity and I can't wait to read them. Ruby is able to come to terms with her past and relinquish her secrets. Her evolution in character development is inspiring and causes the reader to reflect also. She is able to relate with the other ladies of the book group and reach out with support and comfort to them. I am loving this series as the characters all have something you can relate to. The series has made me reflect on how I have moved through similar situations and conflict. It also has given me ideas of how to better support my friends and reach out to others. I'm a fan of Heather Moore's books and novellas. I've read almost all of them and appreciate her writing style more with each story I've read. After reading Ruby's Secret, I think that I need to visit Greece someday. I really enjoyed this story. There was so much emotion in Ruby's secret, in the life she's lived and the choices she has to make. 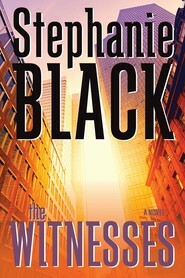 It was interesting for me to read this novel from an older woman's perspective. Heather did a great job of infusing her character with a realistic voice and true passions for the circumstances. I also loved how the books the club read were an integral part of the plot and worked so well with the storyline. I finally pushed order on my wish list for this particular book, The War of Art by Steven Pressfield, which is one of the books read by the Newport Ladies Book Club. This series is WONDERFUL, HEART-FELT, and INTRIGUING! Life in these books is real... and hard. Yet lessons are learned and hearts are touched. Friendships from the book club are what help them get through life. Ruby is the oldest AND the one who started the book club as a way to meet new people. Now she has expanded her friendship to the Senior Citizens Center. 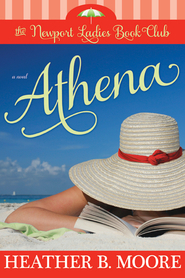 As she shares her travels with this new group they decide to plan a trip to Greece. The last time Ruby was in Greece was with her late husband. She is anxious to go...but will it bring up the memories she is trying so hard to forget? The trip gets even more complicated when Ruby's closed-off heart meets Gabriel, the tour guide. Can Ruby learn to trust again?